A judge has slapped down efforts by the Arizona Chamber of Commerce and Industry to block people from voting whether to hike income taxes on the rich to generate $690 million a year for education. Whether all or some of the bills passes, progressive groups are left reeling and undecided about how to address a problem that seemed simple as one bill, but daunting as three. Now that Gov. Doug Ducey signed a bill that could hamper citizens’ initiatives, advocacy groups are contemplating several potential ways to fend off the bill’s provisions. 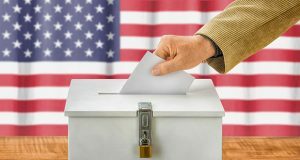 Not content to make gathering signatures more difficult, Republican lawmakers are now moving to impose new procedural requirements on voters who want to propose their own laws. Legislation banning voter initiative backers from paying petition circulators for each signature they gather is on its way to Gov. Doug Ducey's desk. Republican lawmakers agreed Wednesday to ask voters to throw another hurdle in the path of their ability to write their own laws.